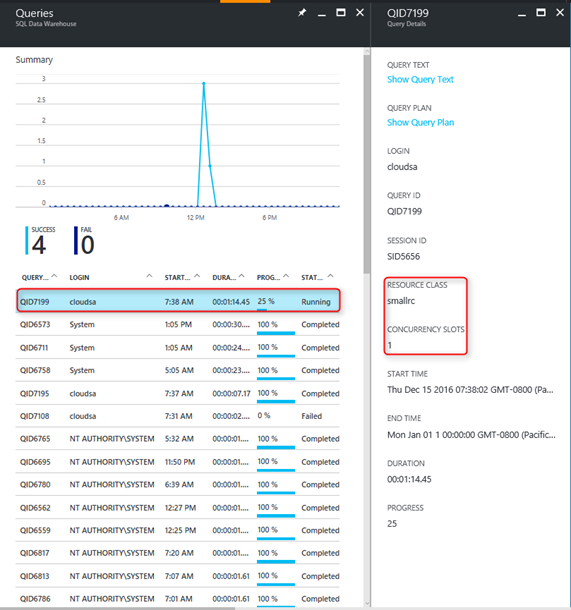 We are excited to share that Azure SQL Data Warehouse has introduced updates to the Azure portal and SQL Server Management Studio (SSMS) to provide a seamless experience when loading, monitoring, and developing your SQL Data Warehouse. The updates include integrated support for loading from 20+ data stores on premise and in the cloud, a simple process to troubleshoot common issues, and highly requested functionality within SSMS. SQL Data Warehouse is your go-to SQL based view across data, offering a fast, fully managed, petabyte-scale cloud solution. It is highly elastic, enabling you to provision and scale up to 60 times larger in seconds. You can scale compute and storage independently, allowing you to range from burst to archival scenarios, and pay based off what you're using instead of being locked into a confined bundle. 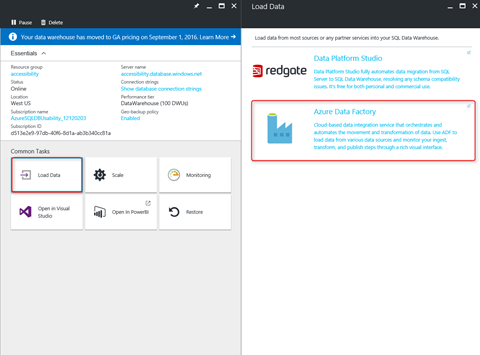 You can now quickly integrate your SQL Data Warehouse with Azure Data Factory (ADF) with the new task panel which consists of common commands to execute against your data warehouse. Rich data store support: built-in support for 20+ data stores on-premises and in the cloud. Easy to set up: intuitive wizard with no scripting required. Secure and compliant: data is transferred over HTTPS or ExpressRoute and the global service presence ensures your data never leaves the geographical boundary. Unparalleled performance by using PolyBase: using PolyBase is the most efficient way to move data into Azure SQL Data Warehouse. To load from Azure Blob Storage, ADF uses PolyBase directly. 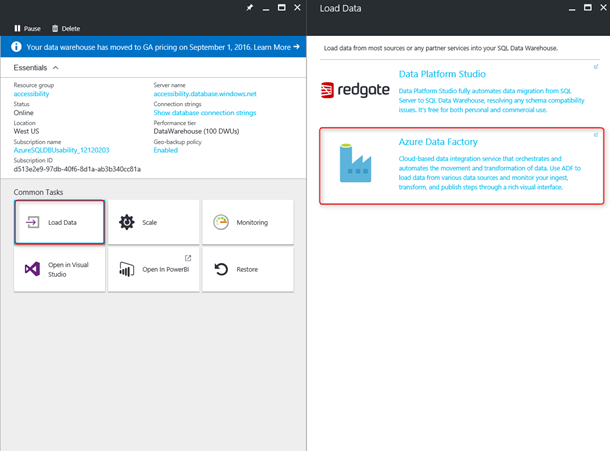 To load from data stores other than Azure Blob Storage, ADF uses the staging blob feature to convert your source data into PolyBase compatible format, and then use PolyBase to load into SQL DW. 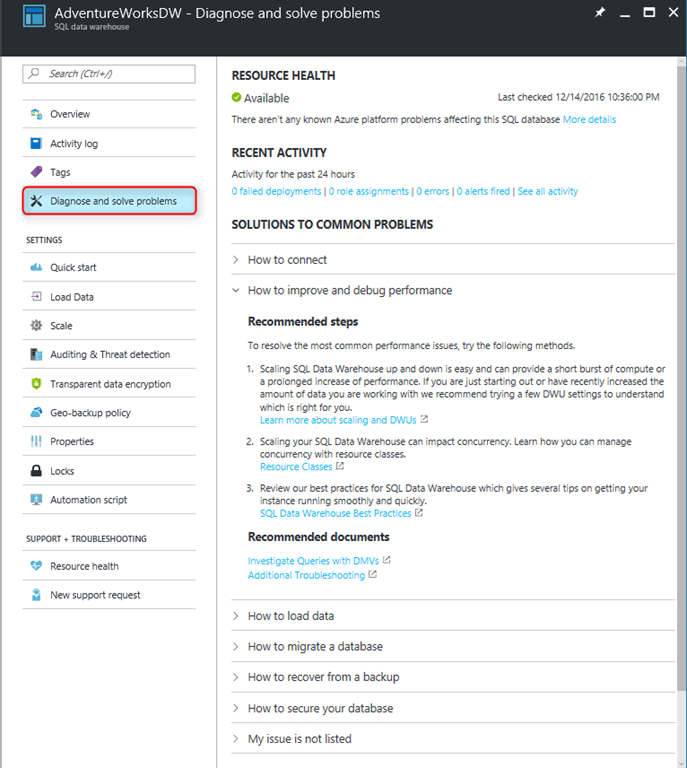 You can simply troubleshoot issues related to your SQL Data Warehouse with the new version of the troubleshoot blade. 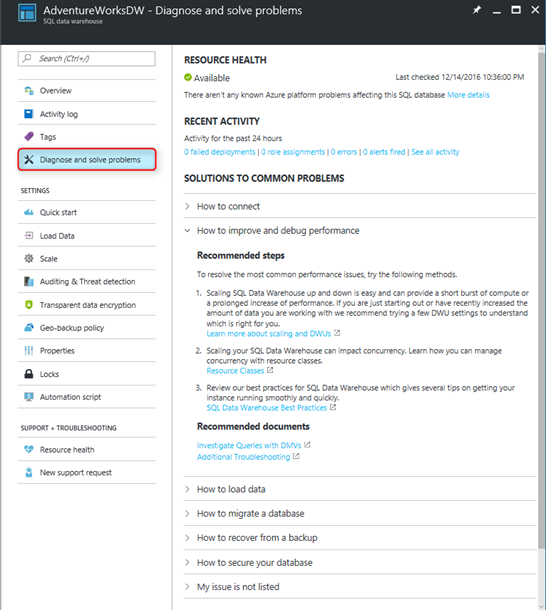 This provides instructions on how to self diagnose your SQL Data Warehouse for common issues. In the query drill-down blade, you can now conveniently view the number of concurrency slots that your queries are consuming along with its resource class. This enables you to manage your workload.